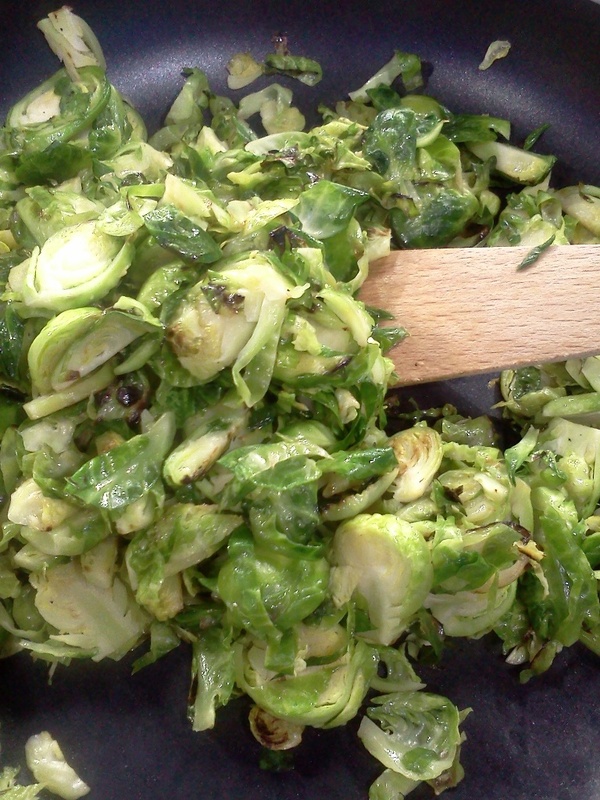 I love brussels sprouts. Yes I know, this may make me seem strange to you, if you haven’t had them cooked correctly, but I hope you’ll give this recipe a try and let me know what you think! They are fabulous roasted and you can find my recipe for that here. If you’re in a hurry or want something different, you will find this easy recipe delicious too. First, lets discuss their name. In my family they were always referred to as “brussel sprouts” and I always thought that was their name. However, since becoming a food writer I’ve noticed some spellcheck frustration when I type that word. I did a little research and discovered that (logically) these tasty little plants became popular during ancient Rome and were cultivated near what is now Belgium. I’m sure it is not a coincidence that both the capital of this nation and these miniature cabbages bear the same name. 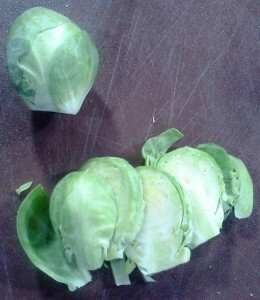 Though they are related to cabbage brussels sprouts grow quite differently. The plant does resemble cabbage on the base with the large, ruffly leaves, like a giant blossom. Beneath these leaves, however, a large stalk shoots up. Ultimately this stalk will be 2-4 feet long and rows of buds develop into sprouts along the length of the stalk. 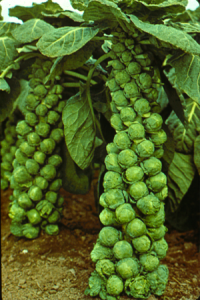 When I first drove by a large field of these growing in central California, I could not imagine what the strange plants could possibly be — then I looked closer and realized what a cool plant brussels sprouts make! Rinse sprouts, trim any brown or dry spots from the stem and chop into slices about 1/4" thick. Heat extra virgin olive oil in a large non-stick sautée pan over medium high heat.